Enjoy the world’s largest arts festival with a private flight to Edinburgh, Scotland! 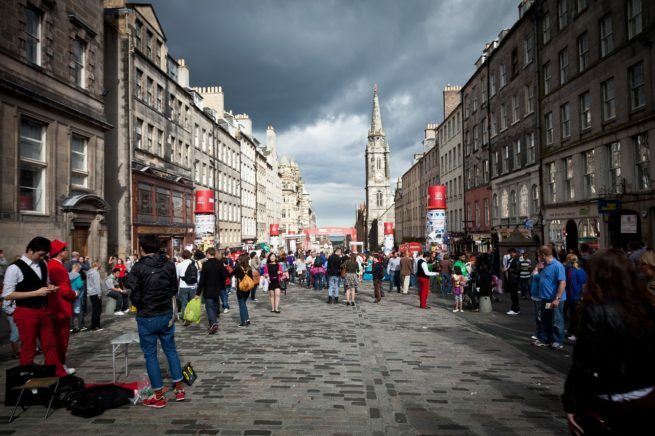 Every August, the capital of Scotland hosts the largest arts festival in the world, the Edinburgh Festival Fringe, or simply known as “The Fringe”. The festival was originally established in 1947 as an alternative to the city’s International Festival, and its open access structure means there is no selection committee, and anyone may participate with any type of performance. The event runs from August 5th through the 29th, and a private charter flight with Jet Charter Europe is the best way to get there! Performances range in a variety of genres, including theater, comedy, dance, circus, cabaret, children’s shows, musicals, opera, music, spoken word, exhibitions and events. The festival attracts numerous creative producers, and the industry and media have turned it into one of the biggest, most dynamic international arts market you’ll find. In 2015, the festival featured 50,459 performances of 3,314 shows across 313 different venues. The Fringe Society publishes the festival’s programs, sells tickets for events, and offers year-round guidance for the festival’s performers. Jet Charter Europe can arrange your private flight to land at (EGPH, EDI) Edinburgh Airport, located just 5 miles outside of the city center along the M8 and M9 motorways. After you arrive, our jet charter agents can arrange ground transportation to bring you to either your hotel or directly to your first stop at the festival. Check out our page on Edinburgh for more info regarding hotels and attractions. Edinburgh offers plenty of attractions to see and do outside of the festival, telling a fascinating story of Edinburgh’s past, present and future. 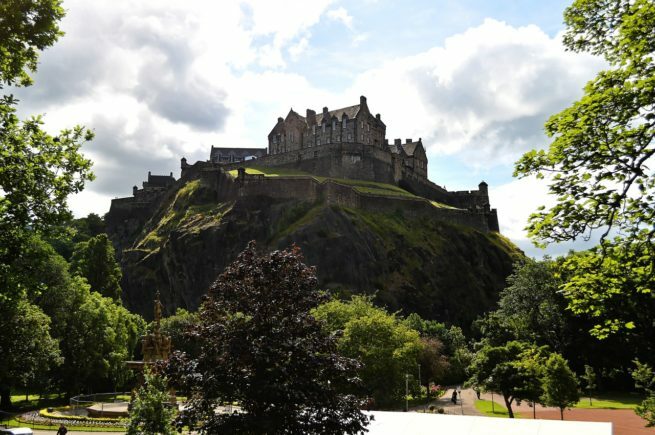 Step back in time and visit Scotland’s ancient castle; discover the rich works and galleries found in the National Museum of Scotland and the National Galleries of Scotland; enjoy a relaxing stroll through the city’s Royal Botanical Gardens; interact with unique, fun attractions at Our Dynamic Earth and Camera Obscura. When you book a private charter flight, you’ll enjoy increased efficiency, flexibility, comfort, privacy and peace of mind compared to commercial flights. Skip the long baggage lines and time-consuming security checkpoints and board your private jet directly – with your own personal chartered aircraft for your return trip home, you can load your private jet up with all of the pieces you purchased from the festival! Request a Quote or give us a call at 1-888-987-5387 to speak with one of our Edinburgh Private Jet Charter service brokers to book your private flight to the next Edinburgh Festival Fringe!